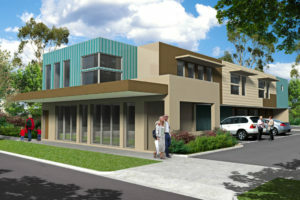 Preparation of applications for multi-unit developments in Sunbury, Gisborne, Kyneton and Melton. Provision of structural designs for the building industry in and to the north-west of Melbourne, including steel and tilt slab factory, warehouse buildings, rural sheds, winery buildings, concrete pre-mix structures, restaurants, houses. Design of elevator screens for quarry at Bacchus Marsh. Retaining wall designs for subdivisions, commercial projects, using a range of materials. Materials testing for structural compliance. Investigations into structural failures and provision of reports to clients on remedial action.